There are so many Race events, big & small! Which is right for you? Big Vs. Small Races: What’s Right For You? 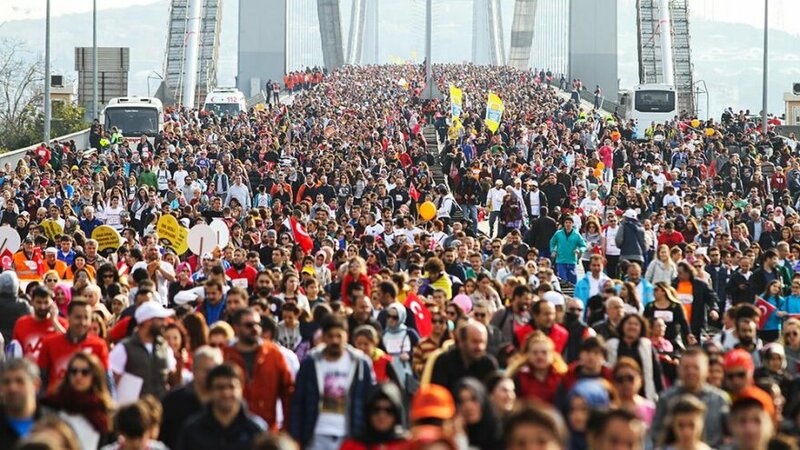 To say running has grown in popularity is an understatement. In 2015, over 17 million runners crossed a finish line in the US alone, up from around 10 million just 10 years before in 2005. (Runningusa.org) If you search for a race on RunningintheUSA.com, you’ll find over 48,000 races – from 5K to Ultra distance – to chose from. Even when you narrow your options down to a season or state, you’re left with a ton of choices which is nice for options, but overwhelming when making a decision on where to put your money and training! There are many factors to consider when choosing your next race, but little have as much impact on your experience than the size of the race. From hometown races put on by local run groups, to World Marathon Major races, the size of the field varies greatly and with those numbers come some differences in experience from packet pick-up to crossing the finish line. Here are some points to keep in mind to determine what’s best for you, now! Price is probably the most objective factor, and larger races are going to cost more. The bigger the race, the more security, road closings, SWAG, and administrative support the race organization will have to pay, which translates to a higher entry price. Consider how many races you plan to do that year and see what fits in your budget before you begin your search. Keep in mind what you’ll pay – if anything – for travel and accommodations if your race isn’t local. While a local race may be pricey at $150, a smaller race that costs only $75 but requires airfare and/or a hotel stay is actually going to cost more in the end. This one – obviously – highly depends on where you live. 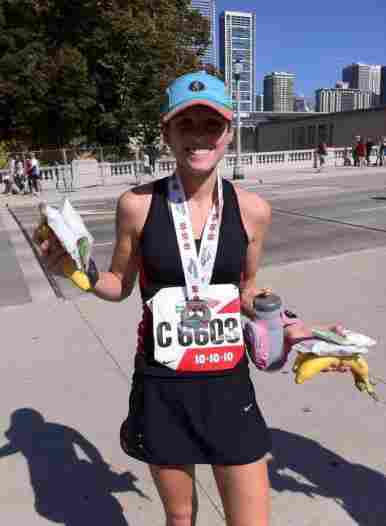 I live in Chicago so technically the Chicago Marathon is a local race, but having a World Majors Marathon in your city is not common. If you’re set on a large race, you’ll most likely be going to a larger city, or at least limited to certain times of the year as January races are harder to come by than a fall race. There are many sides to the logistics coin. A larger race means more people getting to the start, translating to lots of traffic and a need to get there early to wait in lines for porta-potty’s and navigate to your corral, where as a small race can mean getting dropped off a block from the start and walking into your coral 10 minutes before the gun goes off. At a small race, it’s usually easy to find your spectators and collect your gear from gear check, while at large races it’s imperative to set a meet up point and try your best to avoid the gear check line. On the flip side, larger races tend to have a more sophisticated plan, making things run more smoothly, plus, they can often handle traffic congestion, gear check, and even pre-race day communications more efficient and effectively. These factors vary largely from race to race, so I recommend reading race reviews or talking to others who have done the race in the past for their experience. Bigger races draw bigger crowds. This aspect completely depends on what you prefer or need for your race. What you want to consider is how much support (a.k.a. cheering spectators) you’ll need/want while you race. If you’ve done 12 half-marathons and aren’t concerned with the distance, you may feel fine without having thousands of people cheering you on each mile. However, if this is your first race, you may find you rely on the energy of the crowd to get you through tough times in the race – whether it’s a 5K or marathon. A larger race and pricier ticket can also mean more entertainment. Races like the Rock ‘n Roll series are known for the many bands and cheer stations set up throughout the race, while a small town 10K may have a local band. 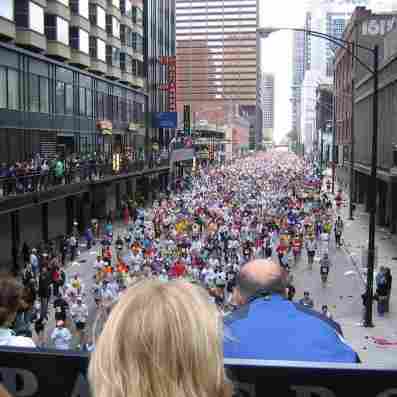 The finish line party will also be reflected in the size of the race; more people equals a larger party. For some, lack of SWAG is a deal-breaker, while others couldn’t care less. A nice medal, tech shirt, product samples, and branded hoodie aren’t found at local races put on by a run club. But an awesome goodie bag doesn’t guarantee a fantastic course and experience. Do you need a finisher medal and coffee mug for your next 10K? It’s up to you. What size race do you prefer? What main factors play into choosing a race?